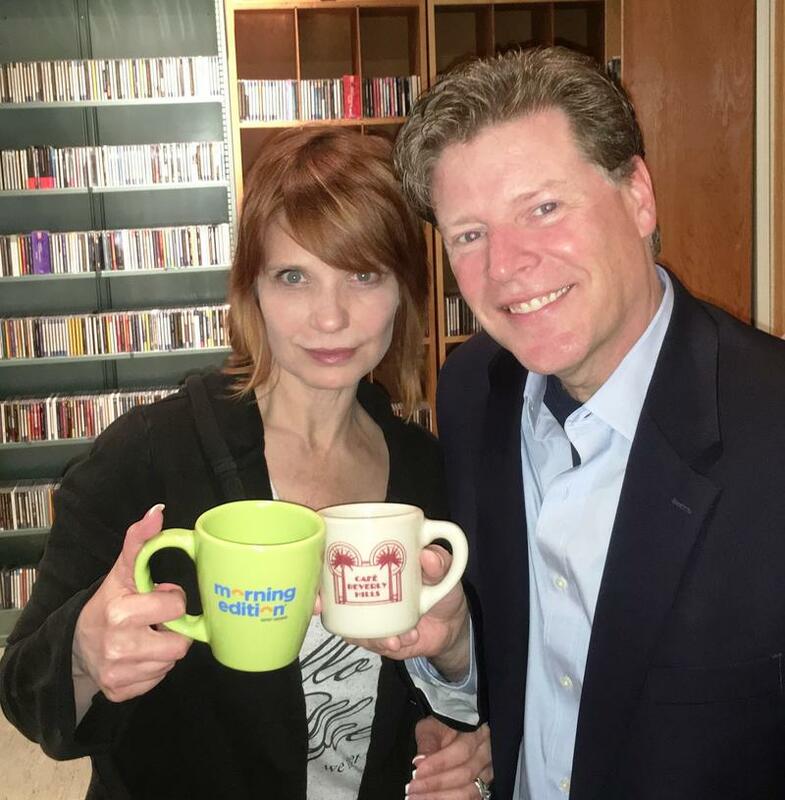 WKAR classical host Jody Knol (left) and WKAR Morning Edition host Brooke Allen (right) hold coffee cups in the WKAR studios. WKAR's Brooke Allen (left) and MSU Executive Producer/Faculty Member Jim Peck (right) holding their beloved coffee mugs. All week long, the WKAR News Team is taking a closer look at coffee. WKAR Classical Music host Jody Knol talks with WKAR's Brooke Allen about how coffee inspires memories of his childhood. From brewing advice to local cafes to it's impact on business and community here in mid-Michigan, we're taking you on the journey fueled by the beverage. Dan Clay is Professor and Director, Global Programs in Sustainable Agri-food Systems in the Department of Community Sustainability at Michigan State University. He talked with WKAR's Brooke Allen about studying coffee in East Africa and the connection to mid-Michigan. MSU Executive Producer/Faculty Member Jim Peck talks with WKAR's Brooke Allen about consuming coffee around the world. WKAR's Scott Pohl talks with Brooke Allen about his most memorable experiences with coffee. WKAR's Jamie Paisley talks with Brooke Allen about his favorite memories regarding coffee.